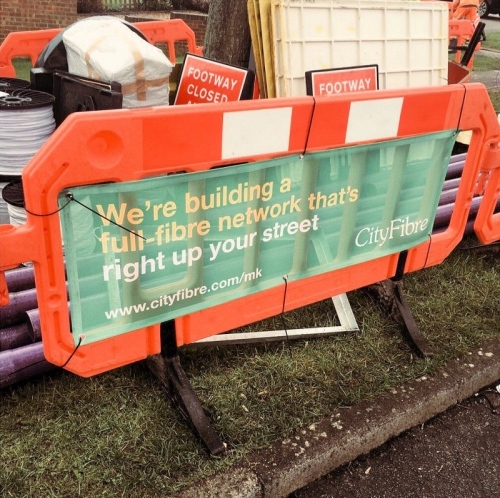 Cityfibre has secured the £11.9m contract to build a new Gigabit (1Gbps+) capable “full fibre” broadband / Ethernet network in Suffolk (England), which will initially focus on connecting public sector sites across 10 towns before being expanded to reach local businesses and possibly homes. ISP MLL Telecom is also involved. Back in October 2018 the Government announced that Suffolk would become the first local area to be awarded £5.9 million of public funding from the third wave of their Local Full Fibre Networks (LFFN) challenge fund, which they said would be used to “[enable] next-generation full fibre connections to key public buildings” (here). However the BBC recently attended a meeting of the Suffolk Public Sector Leaders Group, which revealed that MLL Telecom would supply the cloud-based services, while Cityfibre build the new fibre optic network. Overall the local authority expected to match the Government’s £5.9m investment with £6m from their own coffers. The meeting revealed that the new network would take 15-18 months to construct and will connect hundreds of public sector sites across 10 towns, including: Bury St Edmunds, Felixstowe, Haverhill, Ipswich, Lowestoft, Newmarket, Mildenhall, Stowmarket, Sudbury and Woodbridge. After that has completed then the new network would be expanded to deliver leased line and Fibre-to-the-Premises (FTTP) style broadband connections to local businesses and possibly even private users. The meeting claimed that “many” businesses in the above towns would end up being less than 50 metres from the network (i.e. affordable to connect). The approach being taken is the same as we’ve seen Cityfibre adopt in lots of other cities across the UK. Many of their networks, which started out with a limited focus on public sector and business connectivity, are now being expanded alongside Vodafone to deploy 1Gbps FTTH broadband to 5 million homes by the end of 2024 (here). The meeting also included a suggestion that the project could be worth £40m-£75m in wider benefits over the next 20 years, although we always take such economic forecasts with a pinch of salt due to the inherent difficulty of accurately quantifying such things.